Display your favorite bottle of wine in unique style with this fisherman wine caddy. The wine bottle fits into the body, and it is designed to hold only one bottle at a time. Also great for holding beer or olive oil bottles. Guests are sure to be delighted by this attractive and artistic polished metal bottle holder. 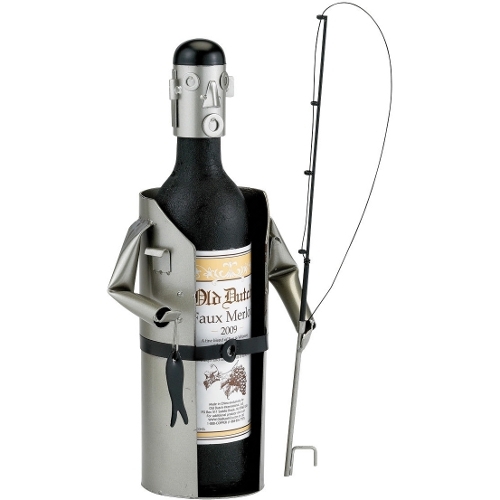 Ideal for any host or hostess, this fisherman wine bottle holder makes a wonderful gift.